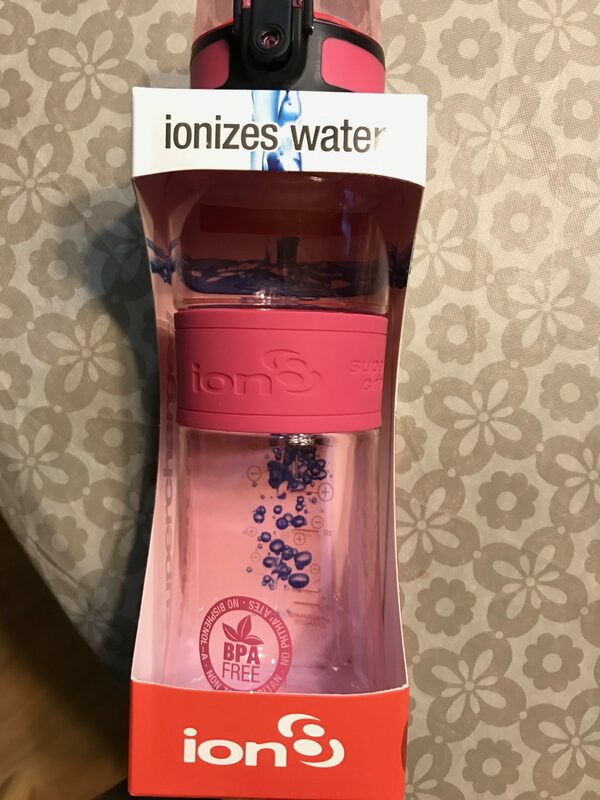 So before receiving this product and doing a bit of research, I had no idea what it meant to “ionize” your water. 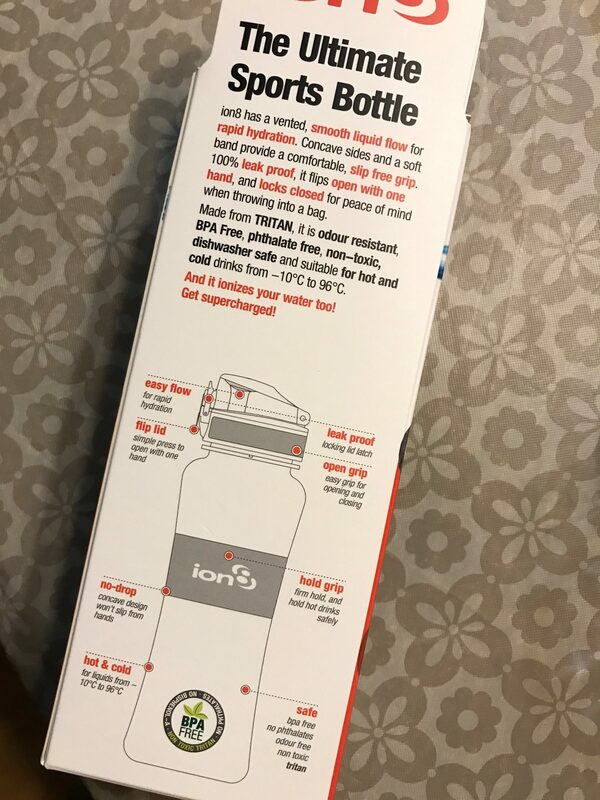 To me, I know cations and anions involved in body chemistry and physiology, or what an “ion” is– (which is a molecule that lost or gains electrons to give it a + or – charge)… but what does it mean to IONIZE my water?! According to the box, I could do that to my water/drink by shaking it. What I am assuming is that you are aerating the beverage, thus ionizing it, which I’m not sure the chemistry behind that (I’m in medicine…not chemistry!) so we will just go with it and talk about the other features of the bottle. 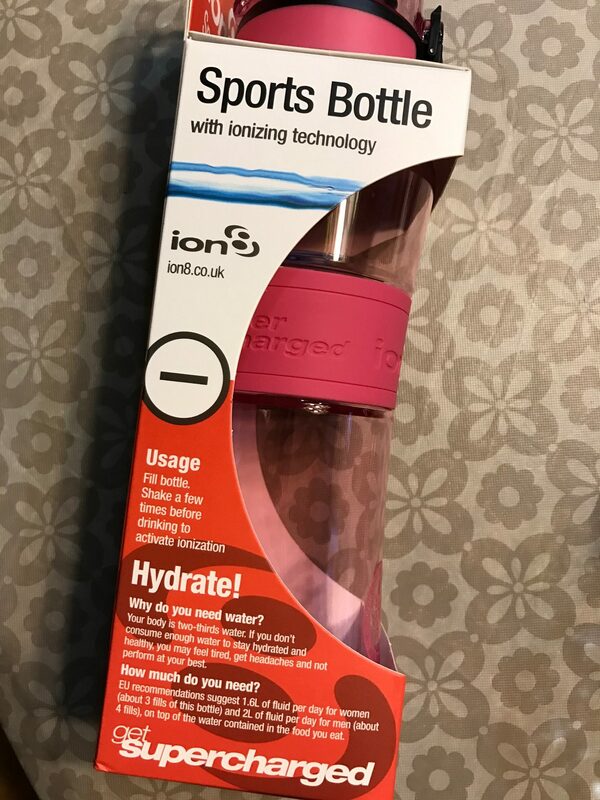 The bottle is BPA free, dishwasher friendly (this one is huge for me), can be used with hot or cold beverages, big enough to add ice cubes to, odor resistant, and leak proof. It has a cap that closes snugly, but then also a little lever that you clip so it won’t open up in your bag. Which, let me tell you, I have had many “expensive, great” water bottles open up in my bag and like what is the point of spending good money on a bottle if your beverage leaks everywhere? I used this with water and iced tea mainly. Honestly, I loved it. Loved that I could just throw it in my bag, and the box claims it has a “vented, smooth liquid flow” which is 100% does. You ever go to drink out of a bottle and the flow of water is either so rapid you almost choke or barely streams out of it? Or you get a lot of “glugs” of water (I may have made that word up), where it just doesn’t flow smoothly. I really liked that the flow of water was smooth and just easy to drink. It’s hard to explain, but I will tell you it’s much different and noticeable than drinking from other bottles. 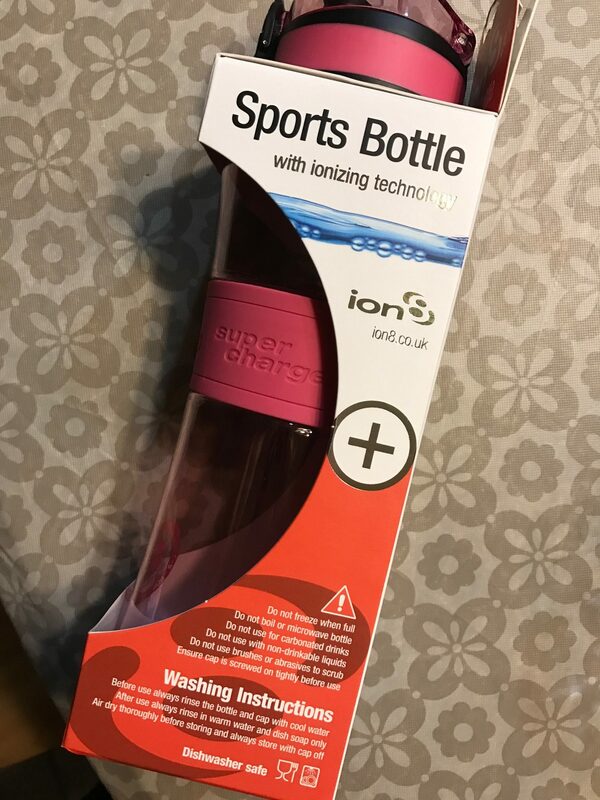 The bottle also has a rubber portion in the middle making it great for grip, and since it’s a sports bottle (and I am assuming most of you guys get sweaty during sports with sweaty palms…) it’s easy to hold and won’t slip out of your hand. With ice, it kept my beverages cool for a decent amount of time. Unfortunately I don’t drink a lot of hot beverages besides coffee so I did not test how long it would keep something hot. Overall, a homerun from me. Really loved this product. Solid 5/5, no complaints. Disclaimer: i received this bottle for free. This is an unbiased review.